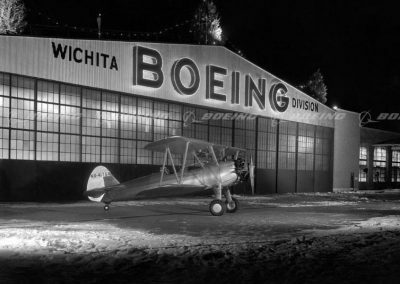 The Boeing Stearman Model 75 “Kaydet” occupies a unique place in American aviation history. 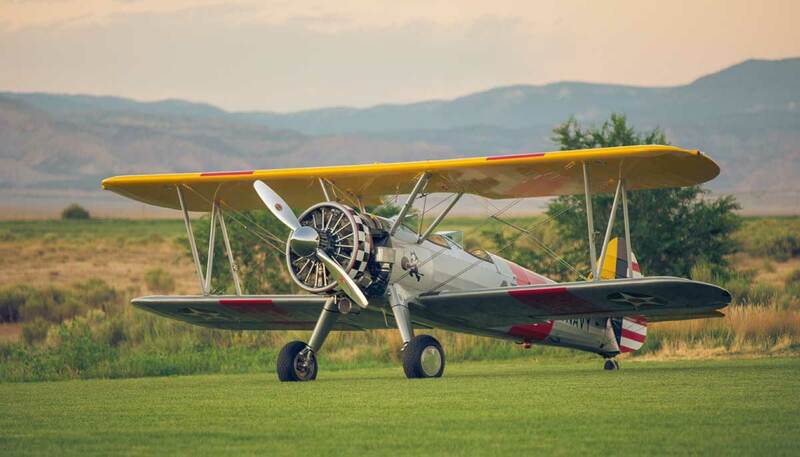 One of the best-known American biplanes and presently the most numerous, the “Stearman” has had four separate and distinct major careers over a span of 60+ years and the end is still not in sight. 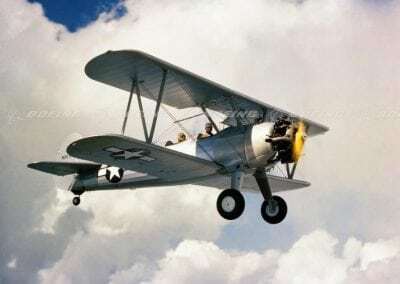 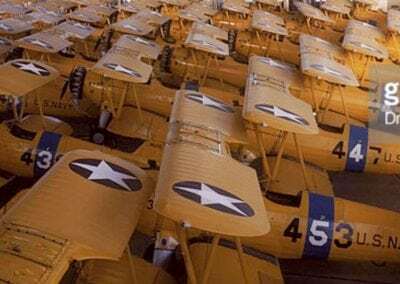 During WW II, the Stearman Model-75 was produced in greater numbers than any other biplane in history, and probably more military pilots learned to fly in it than any other airplane. 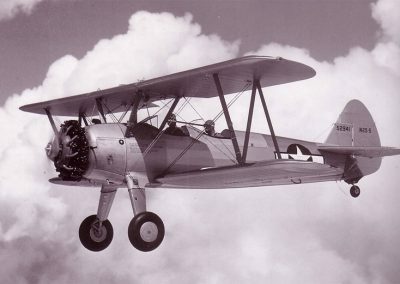 The original U.S. Army “Kaydet” was the PT-13 with the 225 h.p. 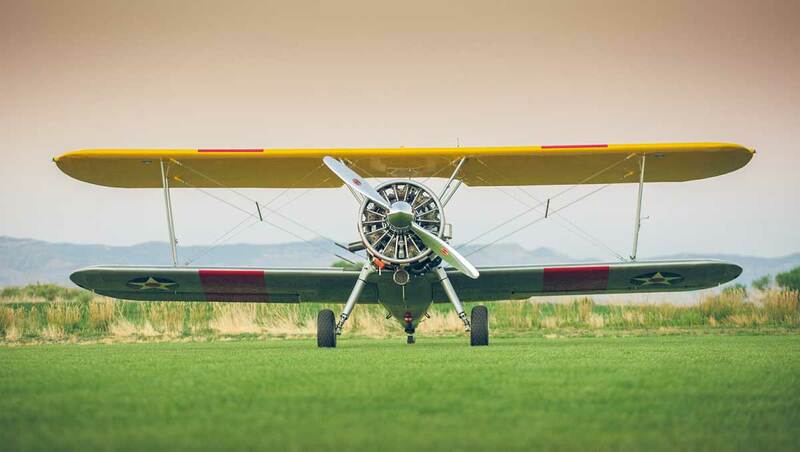 Lycoming R-680 engine. 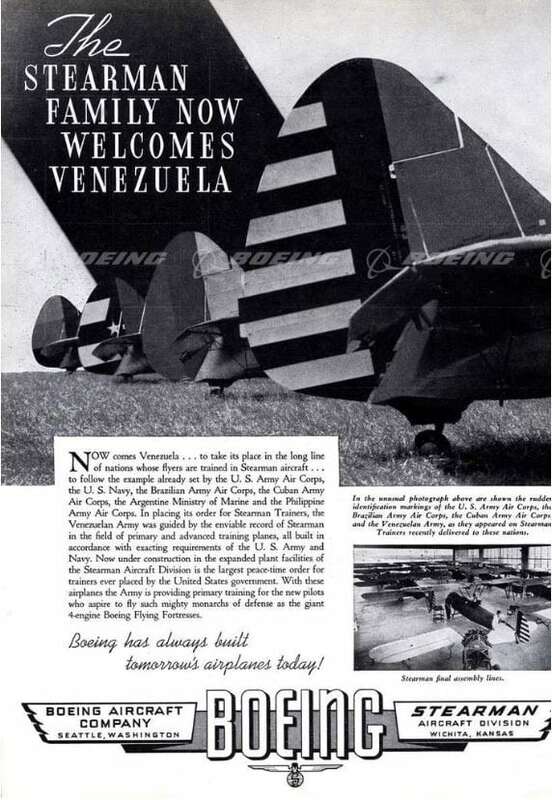 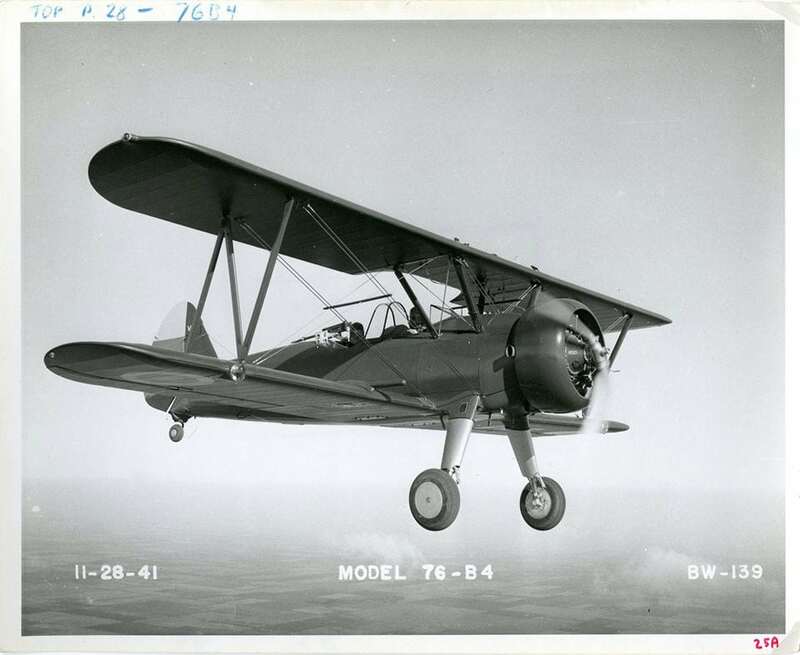 In 1940, to avoid a shortage of Lycoming’s, the Army specified an alternate engine on additional orders, the 220 h.p. Continental R-670. 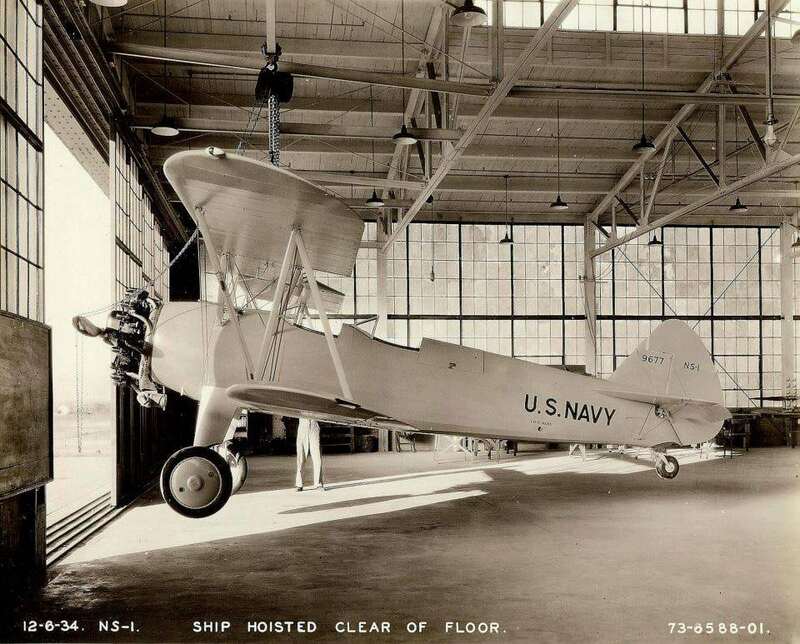 This resulted in a change of airplane designation to PT-13D and the Navy as the N2S-5. 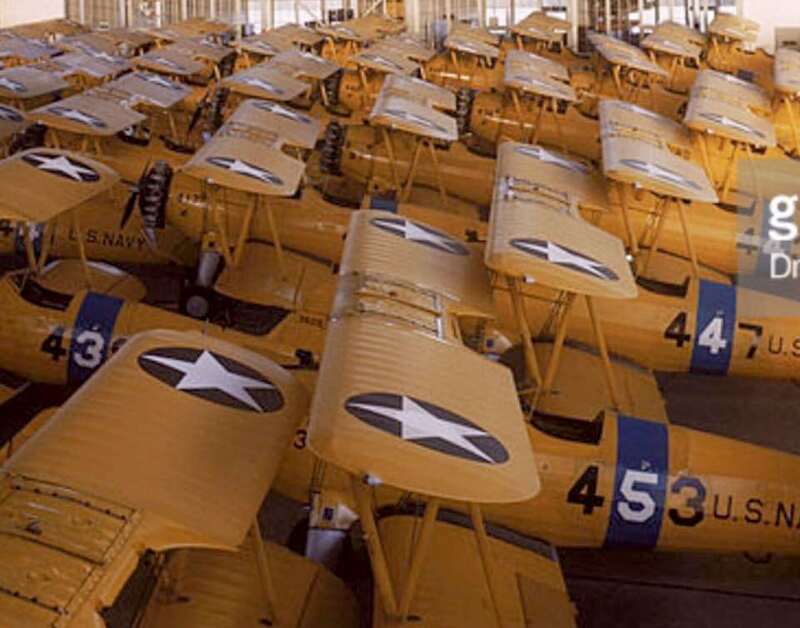 The cost of Stearmans to the military fluctuated from the normal high of $12,291 to a low of $8,102. 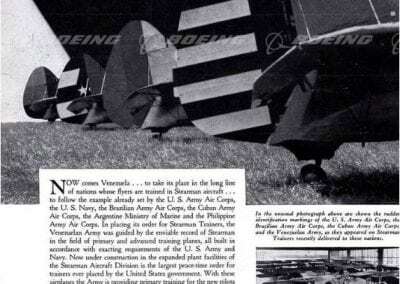 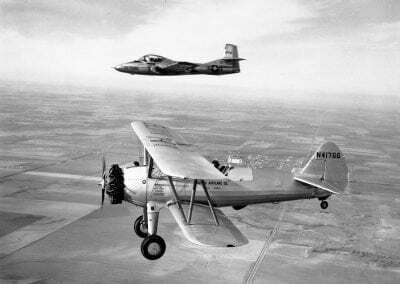 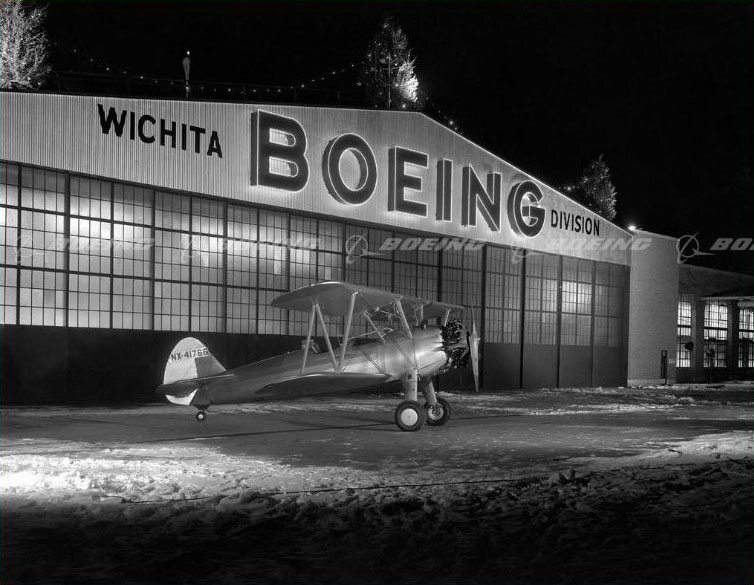 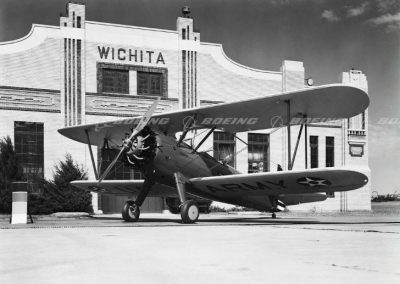 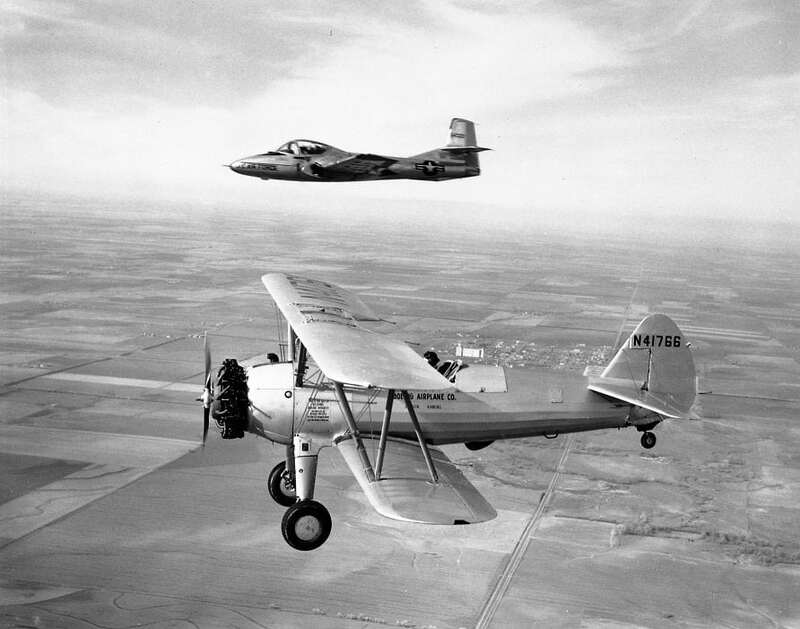 In February 1945 the last Stearman was built at Boeing-Wichita. 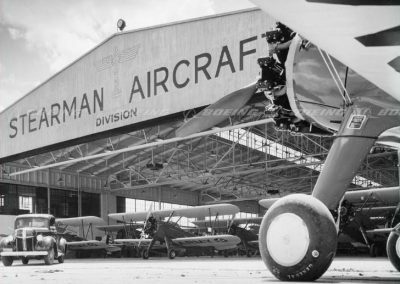 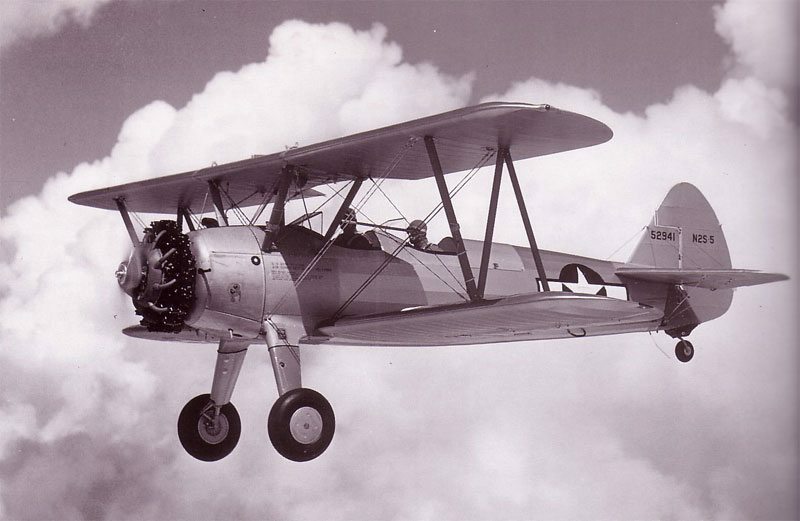 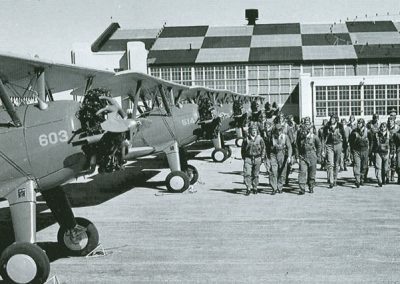 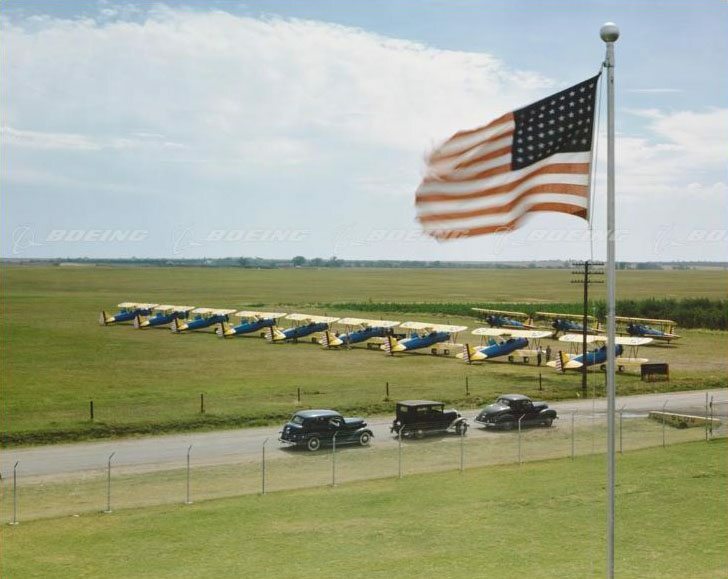 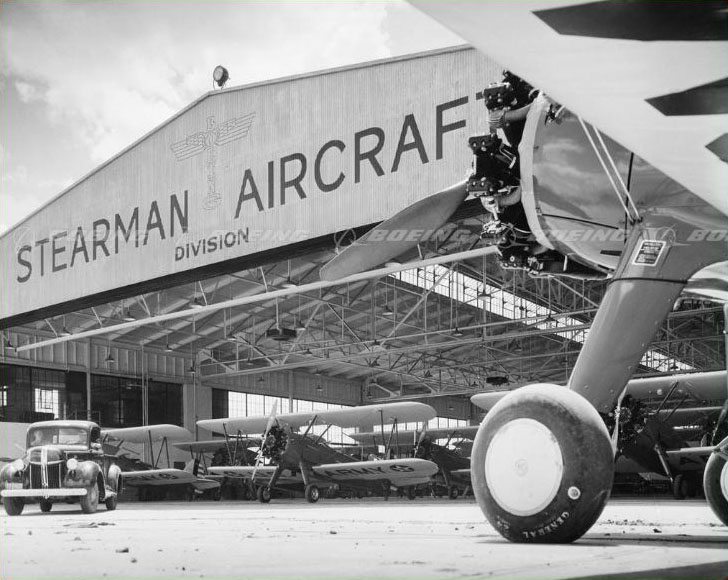 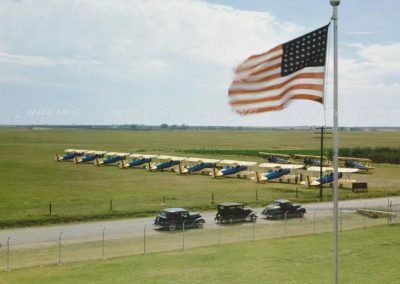 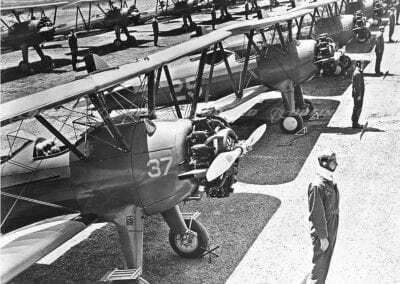 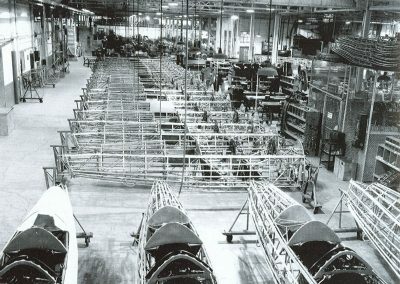 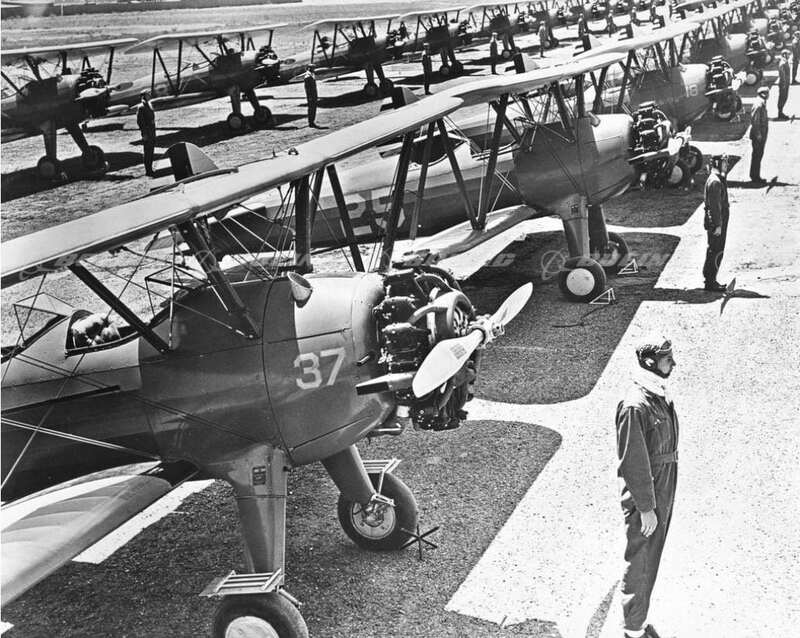 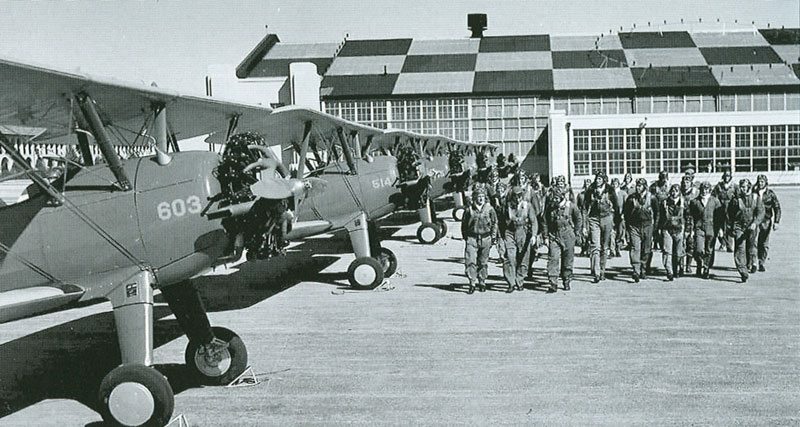 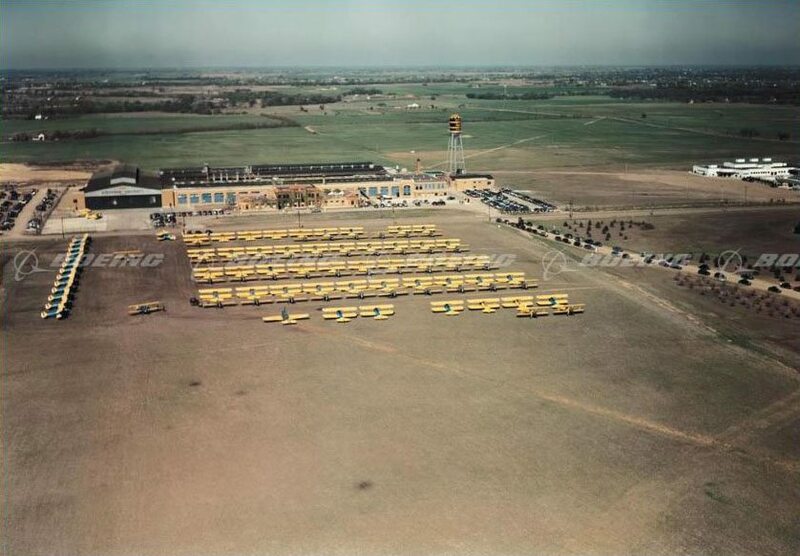 In all, some 8,585 model 75 Stearmans were produced between 1933 to 1945. 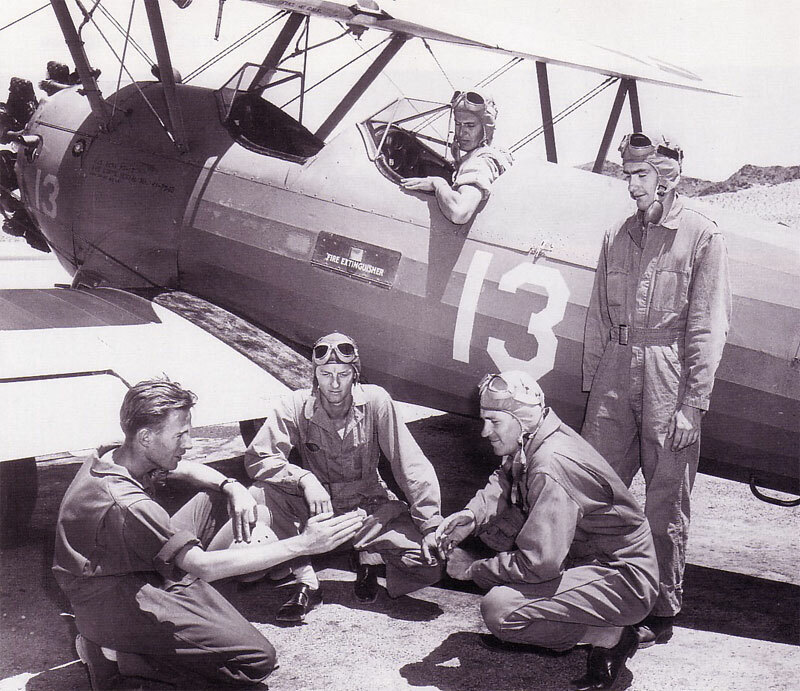 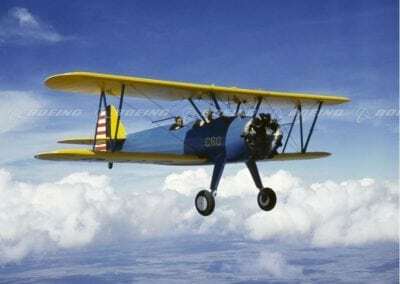 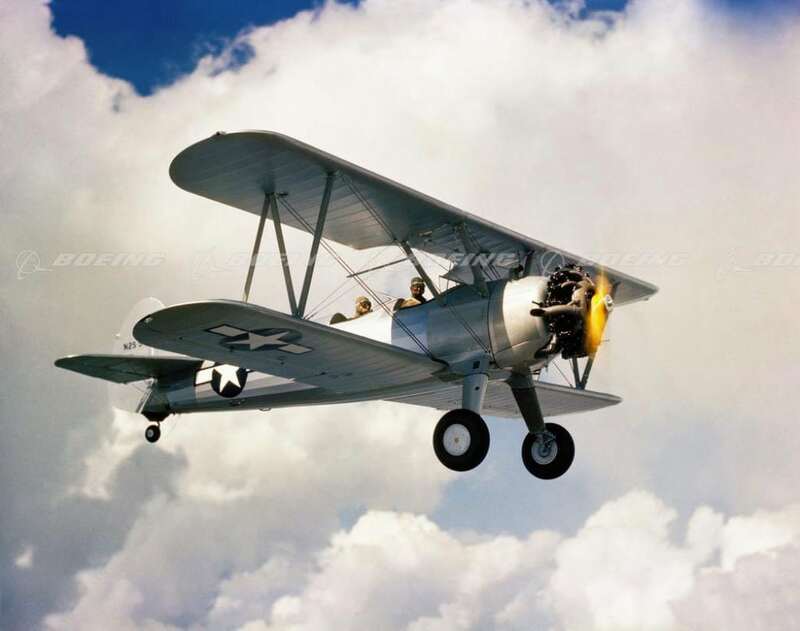 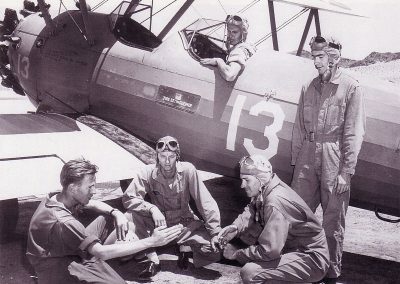 The end of WW II virtually ended the U.S. military career of the Stearmans, although it soldiered on for many years in small-nation air forces. 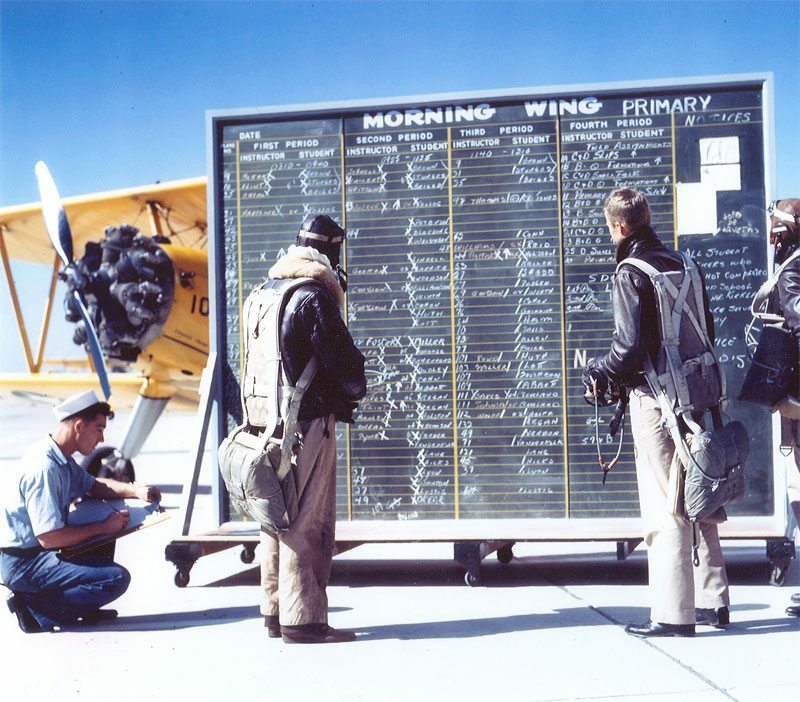 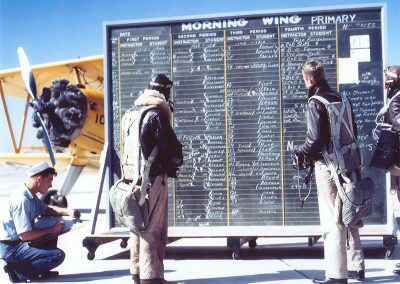 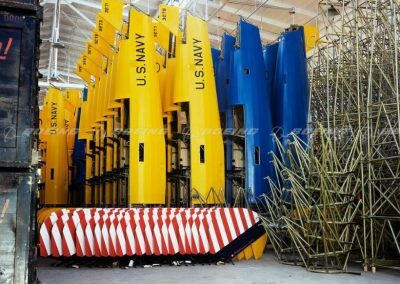 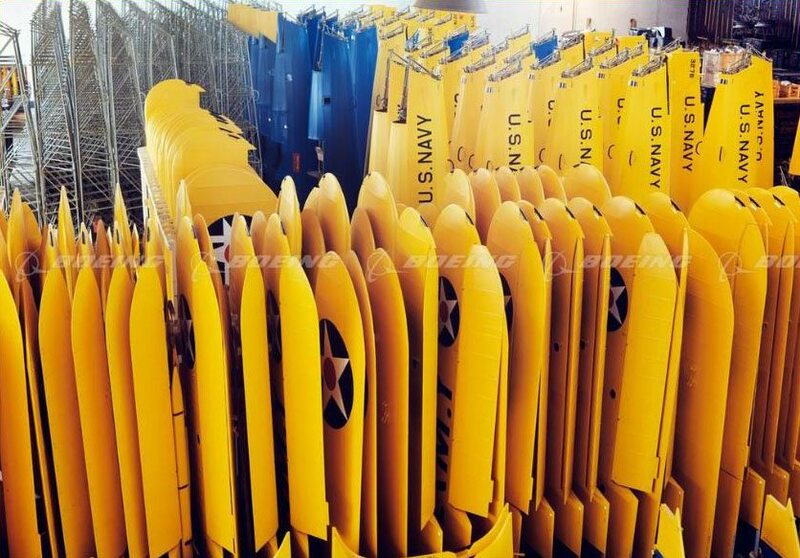 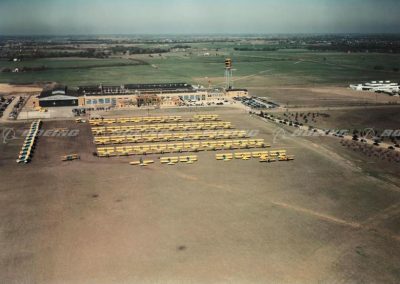 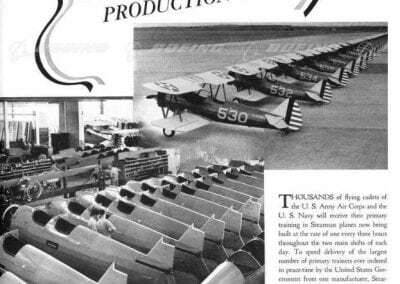 The U.S. Army switched to more advanced designs for primary training, but the Navy retained some N2S-5’s as late as 1948. 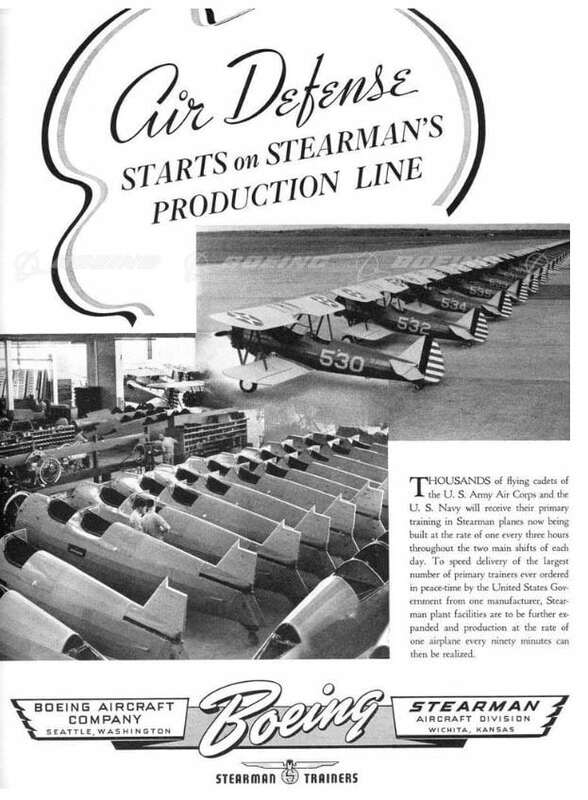 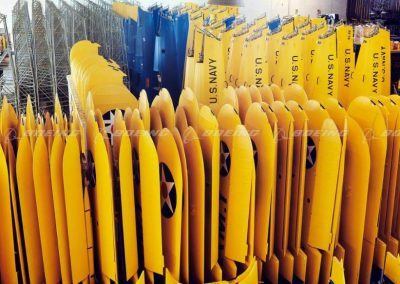 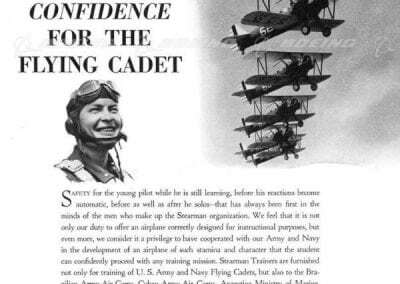 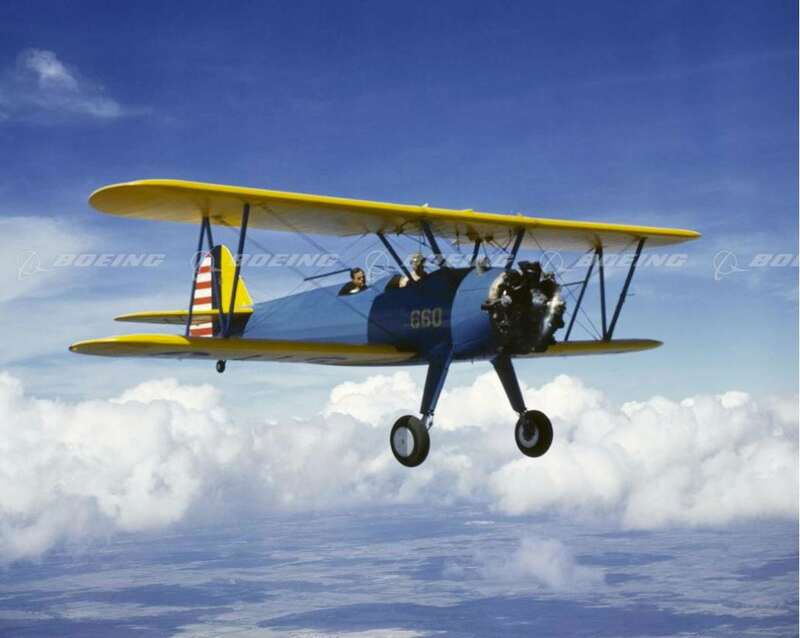 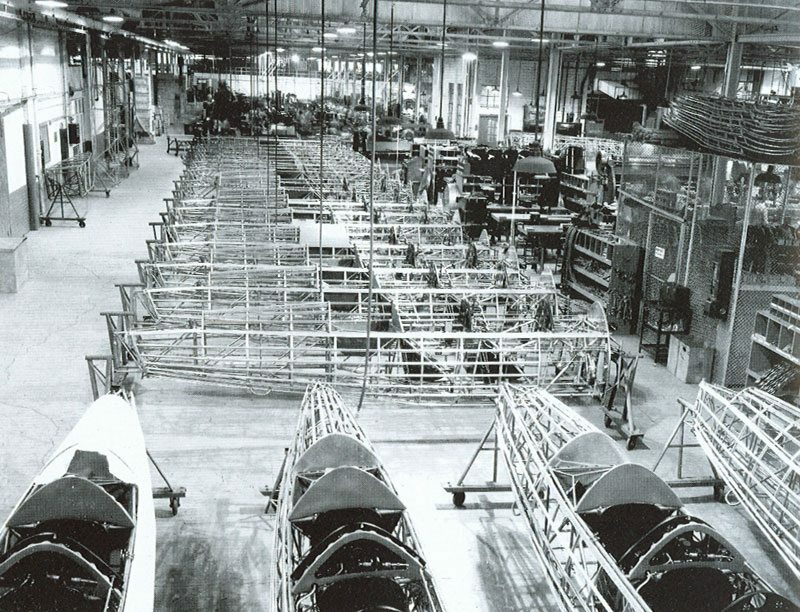 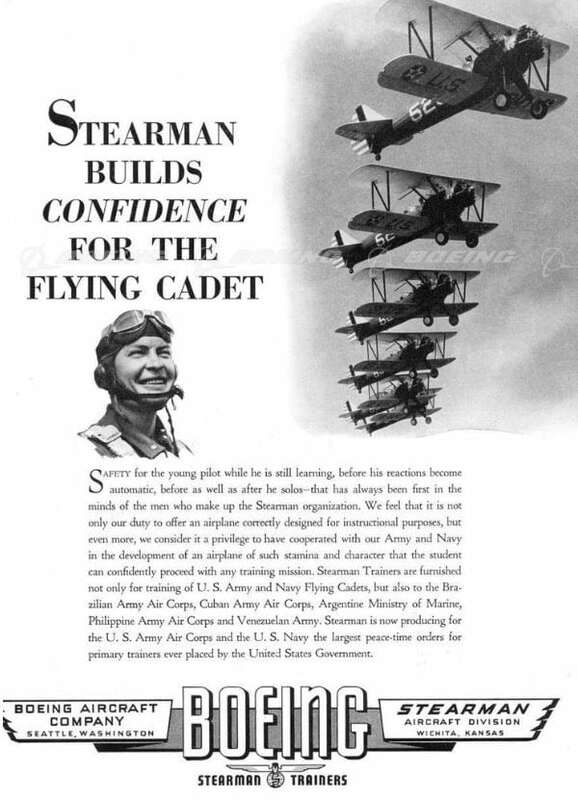 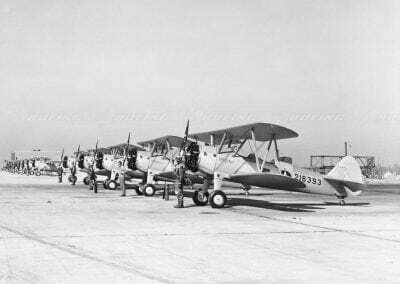 Three new careers for the Stearman began right after the war, when thousands were sold on the surplus market for a few hundred dollars a piece. 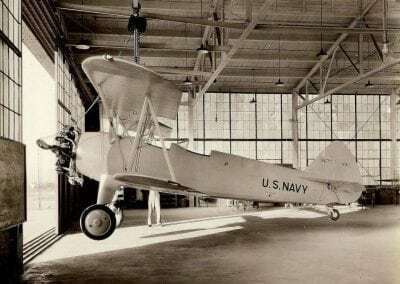 Since the Stearman had been issued a full Approved Type Certificate before the war, it could be bought for civil use without limitation or the need to undertake extensive modifications. 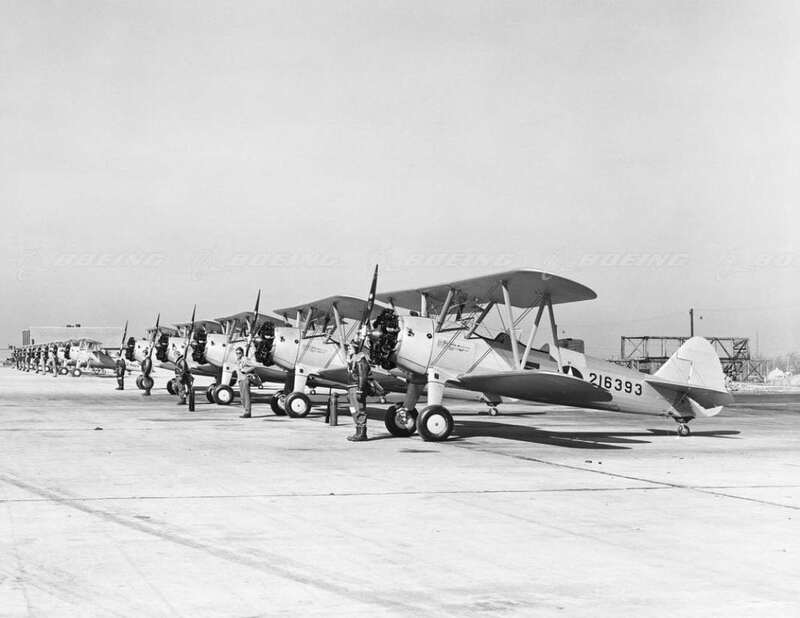 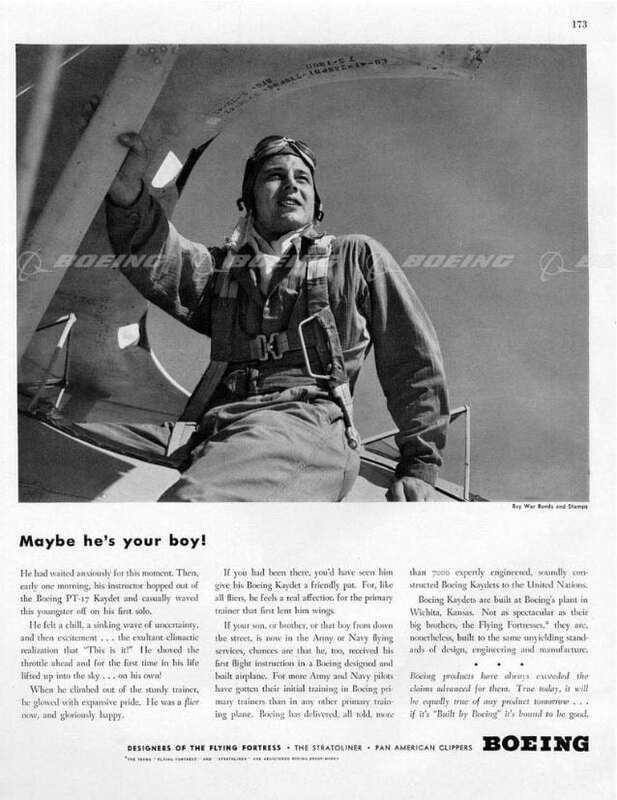 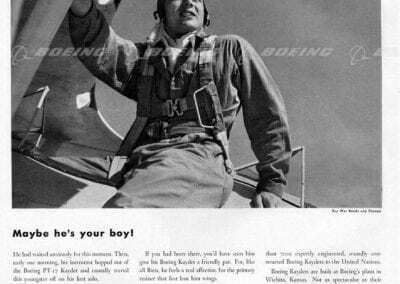 Many aircraft were bought by former service pilots, and others were purchased by civilians as sport planes.